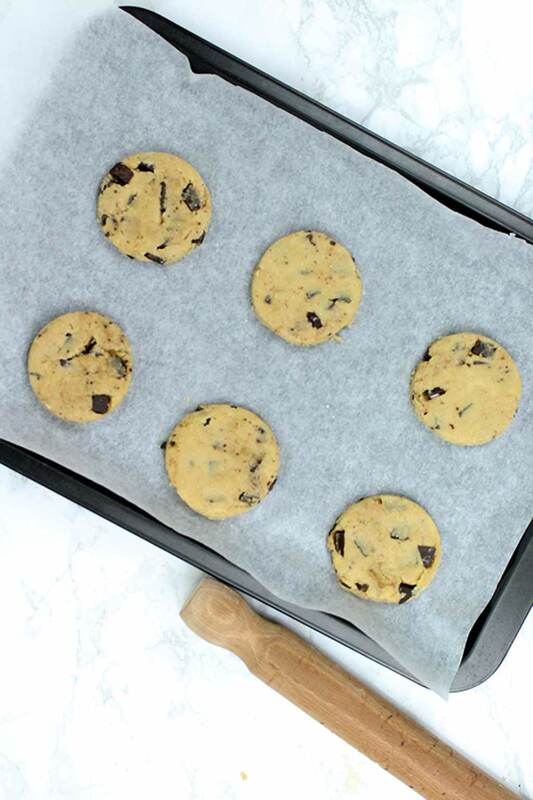 These salted chocolate chunk shortbread cookies contain just 7 ingredients and are super easy to make. They are crunchy, buttery and sweet with a delicious chocolatey bite. The recipe is 100% dairy-free, egg-free and nut-free, and there’s even an option to make it gluten-free too if you like! Homemade shortbread has been one of my go-to cookie choices for many years. It’s always been a family favourite and my gran in particular really loves it because it’s such a classic. This week, I decided my shortbread recipe needed to be revamped… The result? 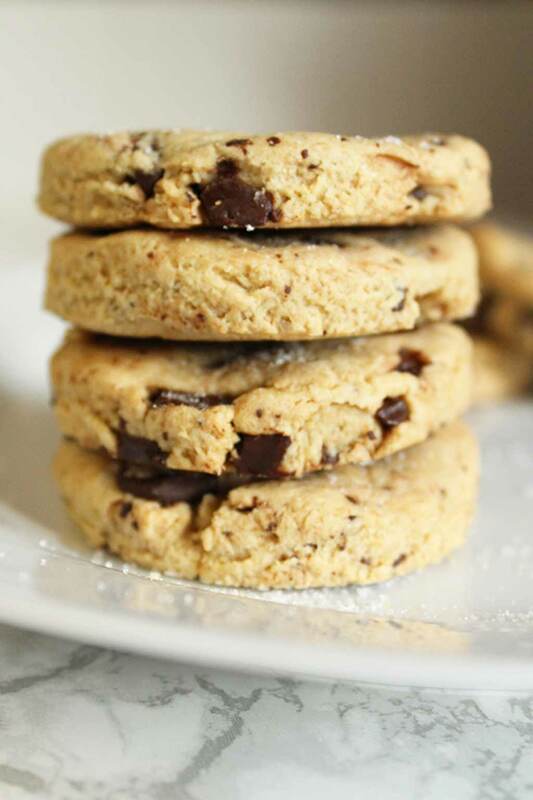 Vegan salted chocolate chunk shortbread cookies. I adapted this recipe from the vegan Scottish shortbread recipe I created last year. The only difference here is that I added some big, dark chocolate chunks and a hint of salt. The combination of sweet and salty is one of my favourites. I made a few small changes to the more traditional shortbread recipes you’ll find out there. If you don’t like agave nectar, you can substitute it for maple syrup, or any other liquid sweetener you like. Another small change I made was that I added salt. Traditional shortbread doesn’t call for salt, but of course, we need it to make salted chocolate chunk shortbread cookies. I did find it quite difficult to find dairy-free salted butter. As it turns out, most of the vegan butter replacements are unsalted. So instead, I used unsalted vegan butter and simply added a pinch of salt while making the shortbread dough. Easy. I wouldn’t recommend making any substitutes for the vegan butter in this recipe unless of course, you’re not vegan. In that case, you can use dairy butter. But things like coconut oil won’t really work for this recipe. The buttery flavour (and texture) is really what makes the shortbread taste authentic! 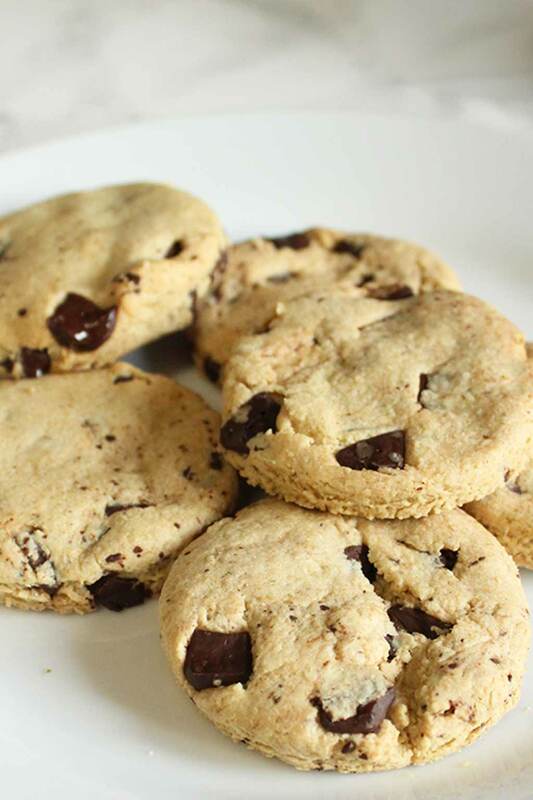 The first step to making these amazing chocolate chunk shortbread cookies is by making the perfect dough. Step 1: First, you’ll need to mix together some butter, agave nectar (or maple syrup) and a splash of vanilla extract. Make sure it’s all combined to make a nice, creamy base. Step 2: Next, we add in two types of flour: oat flour, which brings in the traditional Scottish element, and plain flour. 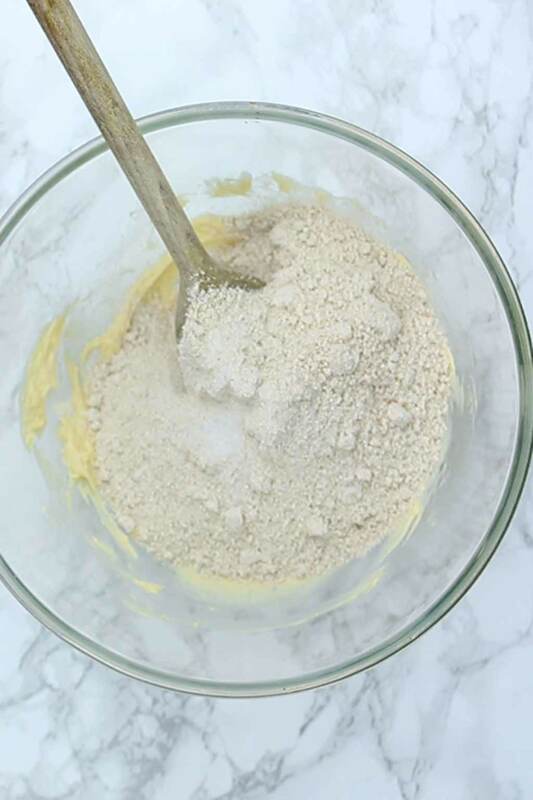 If you can’t eat gluten, you can substitute the plain flour for a gluten-free all-purpose blend. Next, add in a pinch of sea salt, around 1/2 teaspoon. Step 3: Mix everything together with a spoon, then use your hands to form a nice, firm dough. Add your chocolate chunks at this point and knead them into the dough. Step 4: Roll out the dough, on a lightly floured surface, and cut out your cookie shapes. I made circular ones for this recipe but I think shortbread fingers look great too. The thickness here is totally up to you. I personally think that rolling the dough out to about 1″ to 1/2″ thick makes perfectly-sized shortbread. Step 5: Bake your shortbread for around 25-30 minutes, until the edges are starting to turn golden brown. Make sure they are fully cooked all the way through (i.e. not moist in the middle) by snapping one in half. Step 6: Lightly sprinkle your cookies with some caster sugar. This step is totally optional but highly recommended as it makes the shortbread taste just like it does from the store! 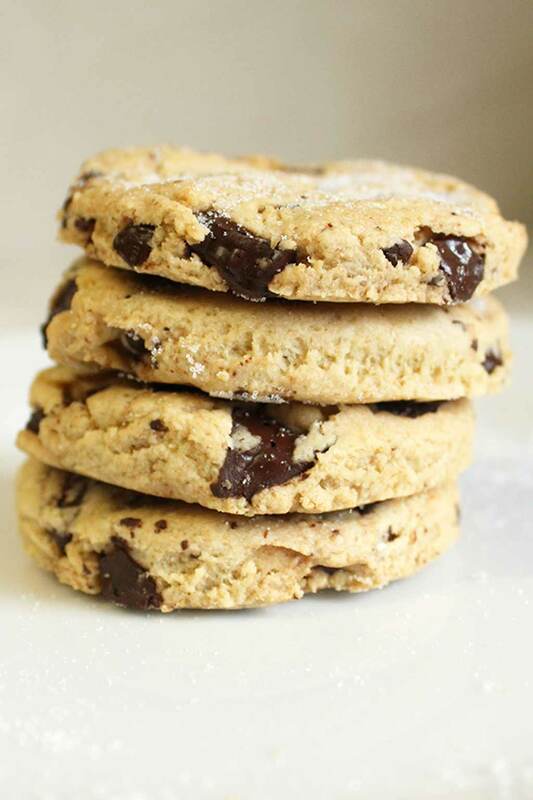 I hope you enjoy this recipe and if you make these salted chocolate chunk shortbread cookies, please leave a review below. Or, tag me on Instagram @bakedbyclo to show me your snaps. I love seeing your creations! 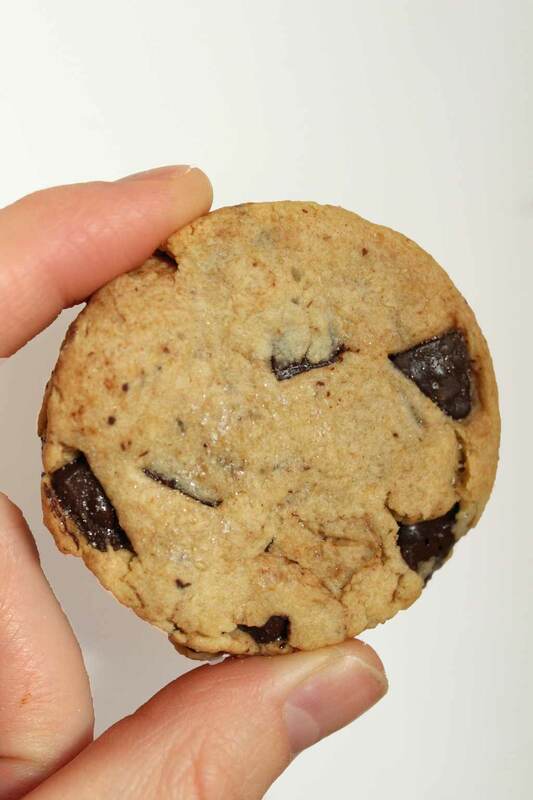 Buttery vegan shortbread cookies with a pinch of salt and dark chocolate chunks. Preheat your oven to 180C / 350F and line a tray with baking paper. 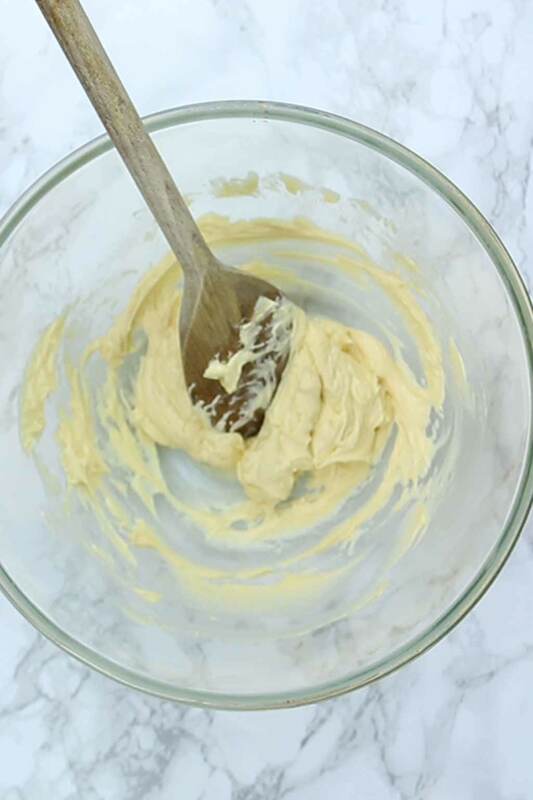 In a large bowl, mix together the agave, butter and vanilla until creamy. Add the oat flour, plain flour, and salt. 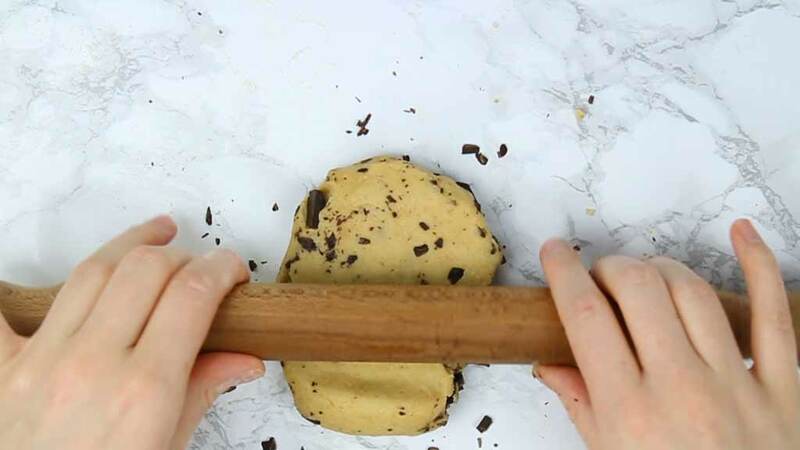 Mix together using a spoon, then use your hands to form a dough. Fold in the chocolate chunks. Roll out the dough on a lightly floured surface and cut out your cookie shapes using a cookie cutter or the bottom of a small glass. Bake for 25- 30 minutes until the edges become golden brown. Leave to cool completely, then sprinkle some caster sugar on top before enjoying! Can be stored in an airtight container at room temperature for up to 5 days.